With all the hype going into the Portland Timbers’ first home game of the season tomorrow night, the club made even bigger news this afternoon. They have signed midfielder Diego Chará as the club’s first Designated Player. Chará will be added to the Timbers roster and will be eligible for selection upon the receipt of his P-1 visa. The 25-year old striker joins the Timbers from Colombian first-division club Deportes Tolima, the same club where current Timbers striker Jorge Perlaza. 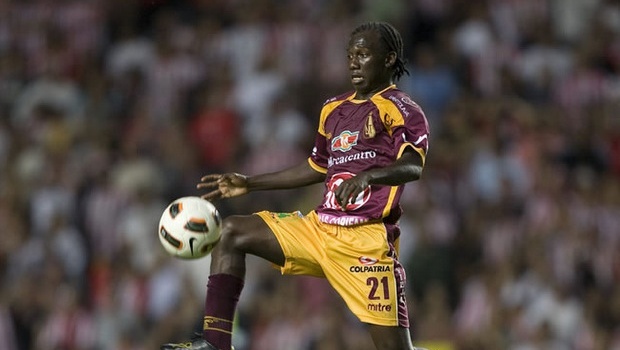 Prior to joining the Timbers, Chará scored two goals in nine league matches for Tolima as the club led the Liga Postobón in scoring through the first 11 games of the 2011 Apertura season with 23 goals. He also played in seven games in the 2011 Copa Libertadores, tallying an assist in a 2-0 win over Brazilian power Corinthians in the early stages of the tournament. Chará is likely the playmaker that John Spencer has been looking for since day one. So far this season the Timbers attack has been hit or miss, mostly miss. With the likes of Kenny Cooper, Perlaza, rookie Darlington Nagbe, and Eddie Johnson, the Timbers have a quality attack already. Adding Chará will only help improve that.